"There are few opportunities to see New York City in such an imaginative and innovative fashion. Broken City is an opportunity that should not be missed." 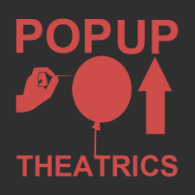 One of the aims of PopUp is to take advantage of all of the “4D-ness” of theater and for our Broken City trilogy, nowhere in the world sets a better stage than the streets of New York. After exploring the Lower East Side in 2014 and Harlem in 2015, we are now preparing to present the final part of our Broken City Trilogy, this time investigating Wall Street. We chose Wall Street because it is the core of the American Dream. The stories will focus on the human transaction with time and achievement, not only in terms of success, but also exploring how we move ourselves through this world anchored to our past, in search of our future and imminently missing our present moments. Conceived by PopUP Theatrics partners Ana Margineanu, Tamilla Woodard and Peca Stefan, real life and theatre collide in our 'street immersive' that invites nine audience members per performance to navigate the broken trails of stories, following the characters who populate this neighborhood of Manhattan. Broken City: Wall Street is our love letter to this place and these people. Additionally for this installment, we are collaborating with UK’s Sign Dance Collective, pioneers of the art form of Sign Dance Theatre. Led by the deaf and physically disabled artistic team of Isolte Avila and David Bower, this innovative company fuses sign language with dance, theatre and live music to create electrifying performances all over the world. 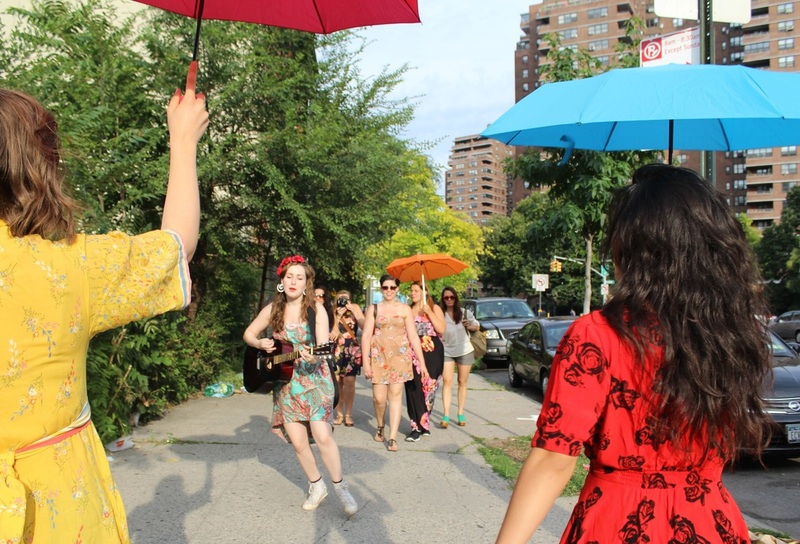 Real life and theatre collide in our Street Immersive for 9 adventurous audience members at a time set in one of New York Cities most famous and fabled neighborhoods, HARLEM, USA! BROKEN CITY: Harlem was conceived by PopUP Theatrics partners, Ana Margineanu, and Tamilla Woodard in collaboration with playwright Peca Stefan. This production highlights artists from Harlem and welcomes guest Playwright Sandra A. Daley-Sharif (Liberation Theatre), Director Ebony Golden (Betty’s Daughter Artist Collective) and a partnerships with Rythmes over Beats and National Black Theatre. "I got a very private, intimate preview of this last night. Ended up crying my eyes out while being turned into a ghost by an actress no less than a foot away from me, a picnic blanket in the middle of Marcus Gravey Park in Harlem. It is one of the gutsiest, strangest, and most moving love letters to New York"
Patrick Blake at Rhymes Over Beats, Neal Ludevig at Harlem Arts Festival, Jonathan McCrory at National Black Theatre, Artist & Craftsman Supply Harlem, Madiba Harlem, Grandma's Place Toy Store, James A. Tyler, Kiersten Franz, Félix Luis García, Chris Komer, Leanne Stella, Linda Walton, Catherine Coray,Dina Vovsi, Shannon Stowe, Melissa Maxwell. was presented during the undergroundzero festival as a pilot of PopUpPTheatrics' series of intimate urban explorations. In this people watching expedition through Manhattan’s Lower East Side, audiences choose their own adventure as they navigate the broken trails of stories left behind by the people and places of this fabled post-immigrant/post-working class neighborhood.